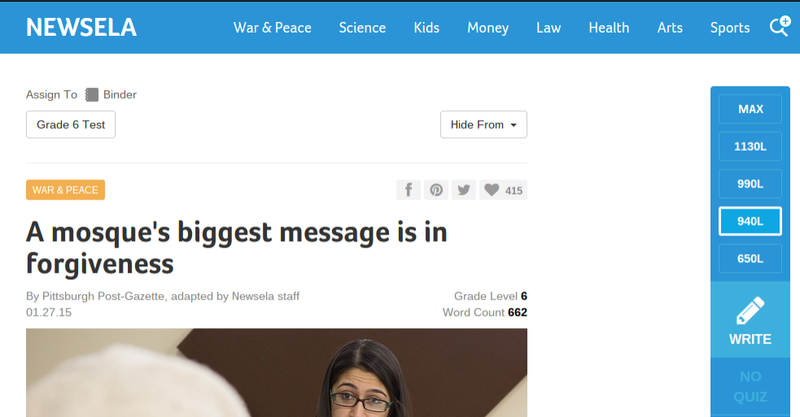 NEWSELA is an innovative way to build reading comprehension with nonfiction that's always relevant. The site houses up to date news articles at 5 different Lexile Levels ranging typically from 470 to 1120. This fantastic site allows teachers to differentiate instruction for students, assess student's reading comprehension and NOW assess their writing skills as well. 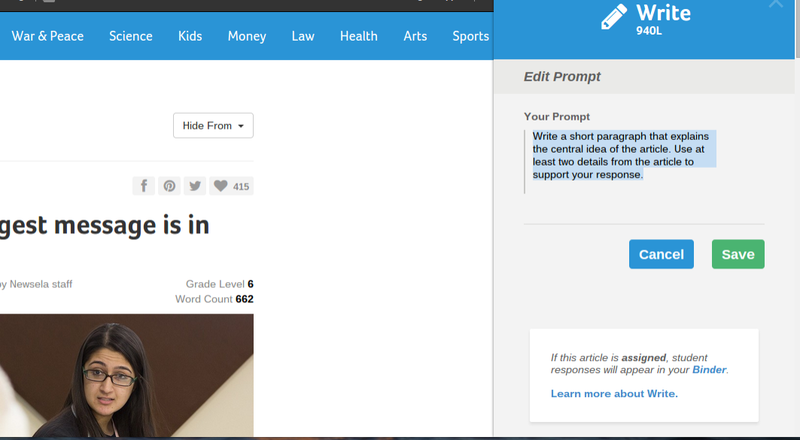 To learn more about the writing portion of NEWSELA, refer to the links below. 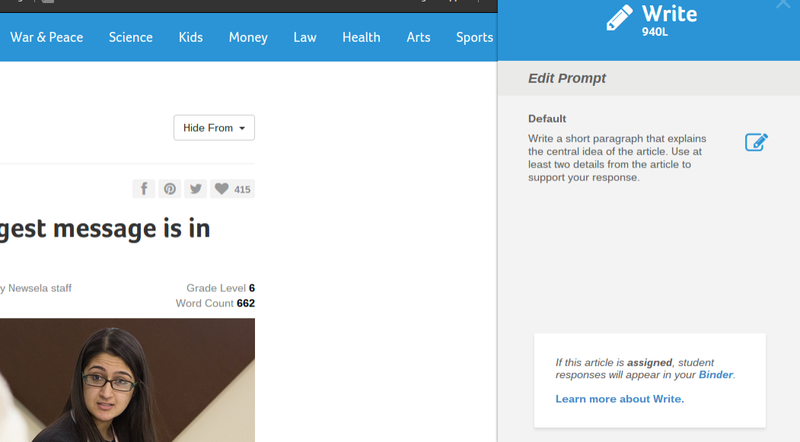 As a launch to their entire Write feature, NEWSELA will be publishing some of the top mini-lessons you submit showing how you incorporate NEWSELA write with your students on their site. "This is an opportunity to take us into your school and show us how your students use Write."